Grand Mercure, Bangalore, is another word for luxury and elegance, which makes it one of the best wedding venues in the beautiful city. The multiple party areas are best suited to host medium-sized wedding functions with your family and friends in attendance. The venue boasts of some culinary experts who prepare dishes that will be relished by all the guests. 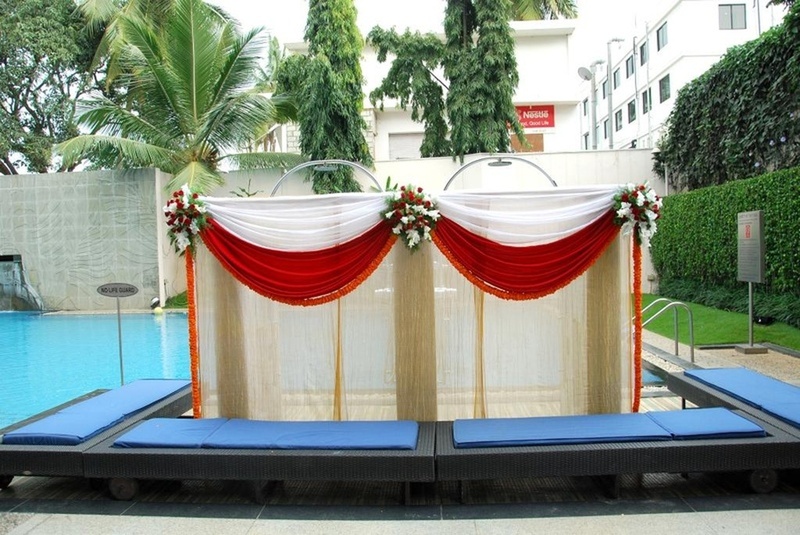 Located near Koramangala post office, the venue offers spacious rooms for guests who arrive from other cities. 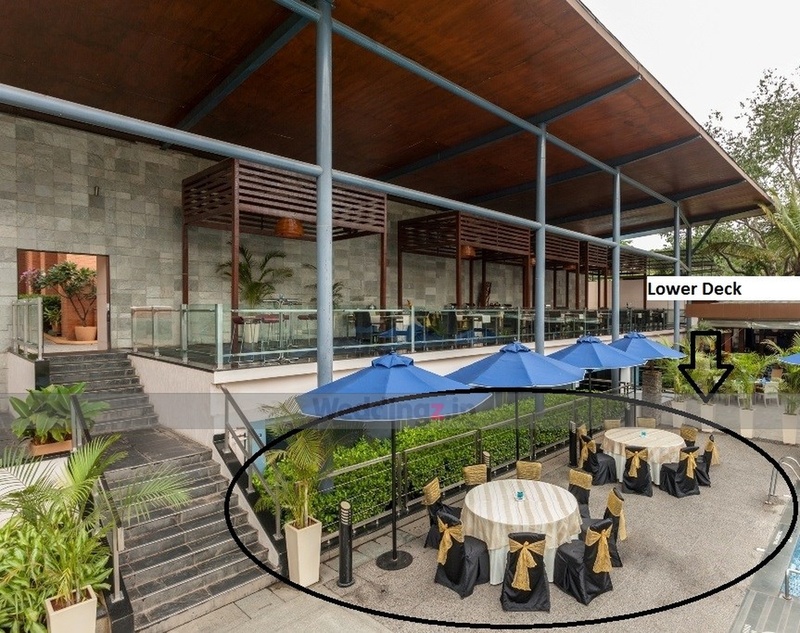 The Grand Mercure located in Koramangala, Bangalore has Cocktail Venues and 5 Star Wedding Hotels. Poolside upper-deck can accommodate upto 75 guests in seating and 100 guests in floating. Poolside Upper deck + Poolside Lower deck can accommodate upto 150 guests in seating and 250 guests in floating. Meeting@123 can accommodate upto 50 guests in seating and 70 guests in floating. Poolside lower-deck can accommodate upto 75 guests in seating and 100 guests in floating. Vegetarian food is served at this venue. Features of this wedding venues are : Food provided by the venue , Non-Veg allowed at the venue , Alcohol allowed at the venue , Outside alcohol allowed at the venue , Halls are air Conditioned , Ample parking , Baarat allowed , Hawan allowed , Decor provided by the venue , Packages starts at Rs 1500 per plate for vegetarian menu and at Rs 1800 for non veg menu. Decoration starts at Rs 25000.